Couldn't get enough of their previous summer eyeshadow collection which i did a review HERE and now their new Dual Intensity eyeshadow collection is already in stores! They wouldn't call these small babies "DUAL INTENSITY" for nothing because, i assure you the colours are super duper pigmented. Obviously i picked 2 of the most neutral and earth tone looking shades like Europa and Subra. 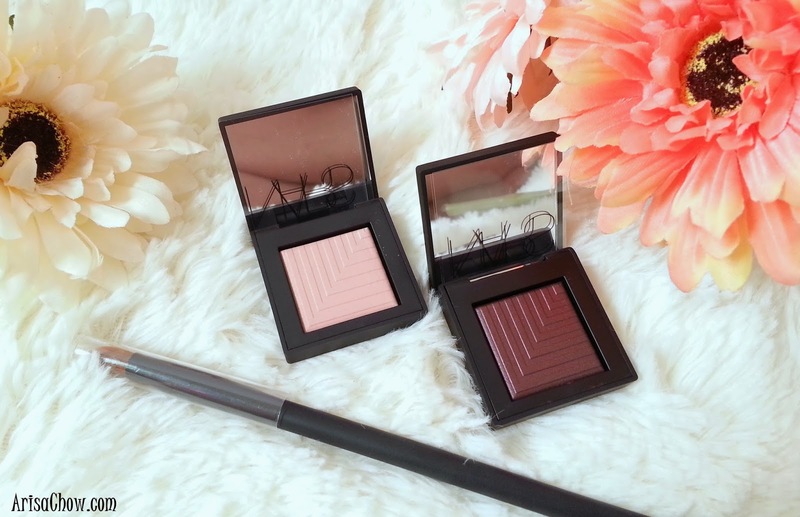 These 2 shades works very well for everyday usage to brighten up your eyes without going overboard. 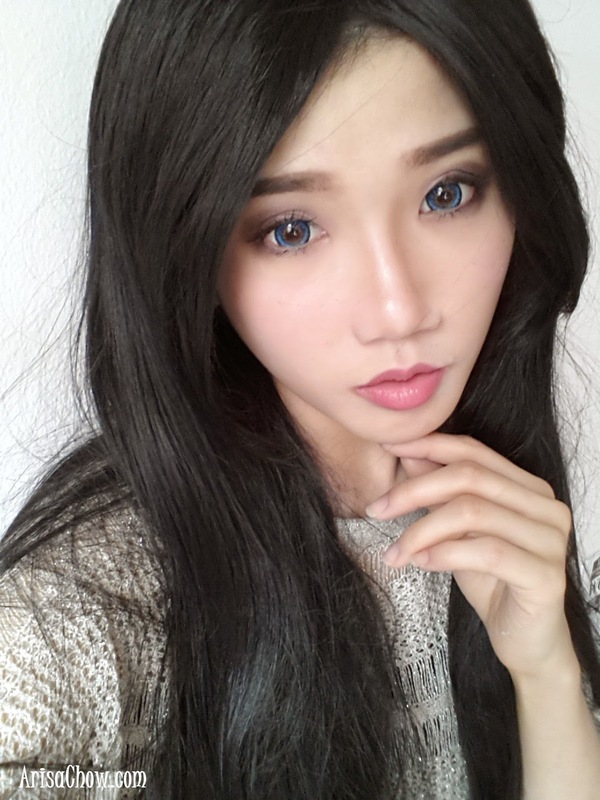 Still trying to figure out how to work with shades like royal blue (obvious drag queen colour lol), purple and silver. Noticed that these are the usual intense colours they use during parties or clubbing? Wished we could use them in office rather than just partying because how often do we even get to go to the club? lol. Aren't they such a beauty? 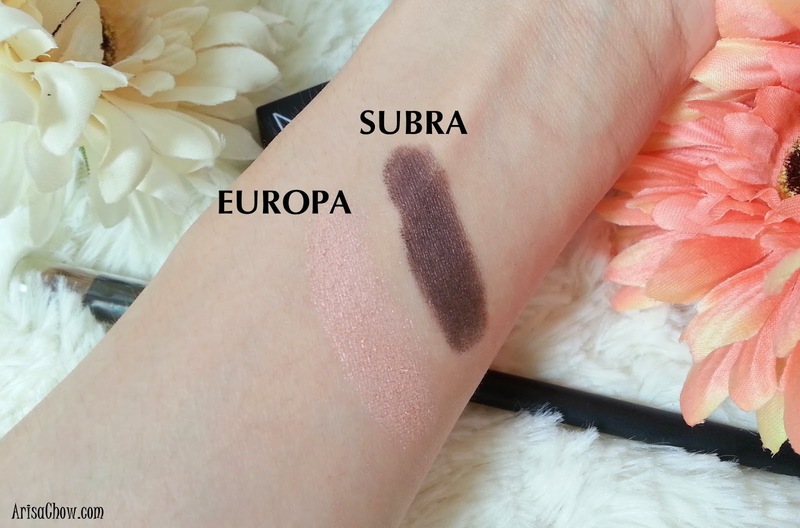 These are the exact colours in the photo but do take note that the Subra eyeshadow comes out with a slightly darker shade when swatched. Apparently it's like a mixture of different shades of browns and slightly metallic-ish. The extra smooth texture makes it easy to apply because of their new improved formula, i mean.. their previous eyeshadows are really good already (for my standards) and now even better than before? 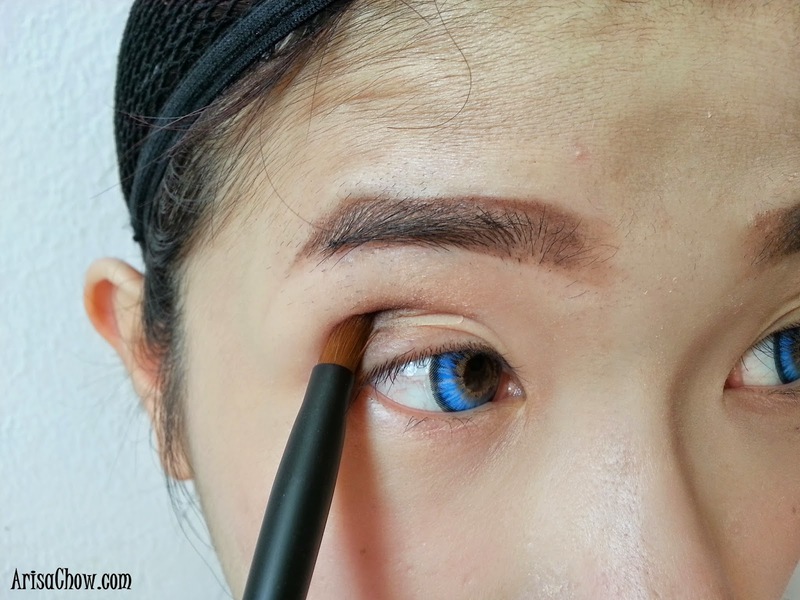 Wet/Dry Eyeshadow Brush #49, to apply this eyeshadows. You will be able to blend them in smoothly together to create a beautiful gradient or achieve desired results. Swatched. These are non edited photos taken with natural lighting. 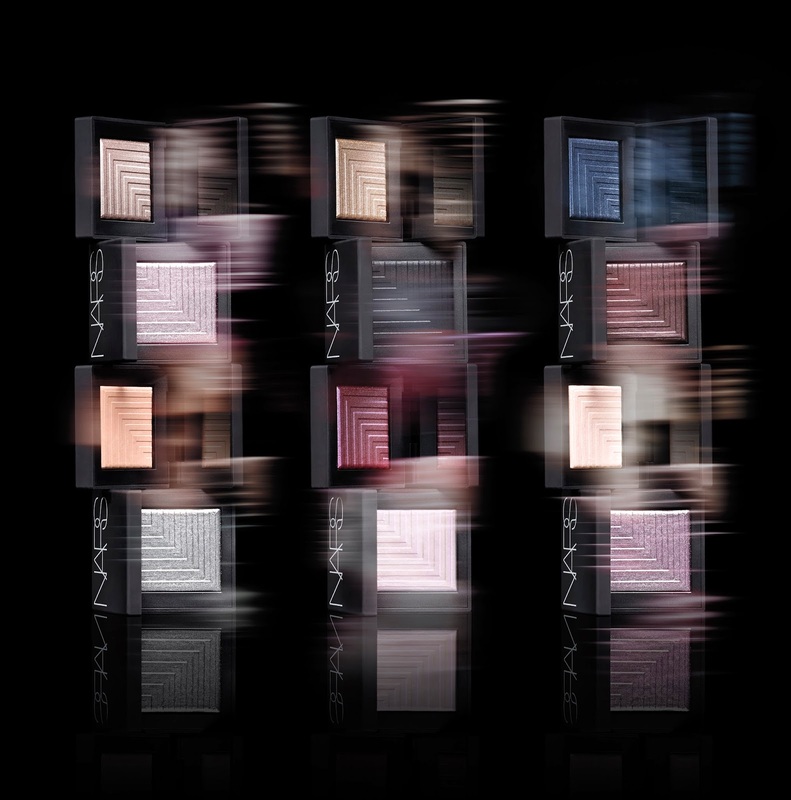 NARS Dual Intensity collection are available in Twelve ready-to-wear and rebelliously romantic shades suiting any look for any occasion be it from morning to night, office to dinner or parties. One of my favourite looks combining these two shades is a simple smokey eye that is not too harsh to wear it during day time compared to the usual black and silver. Been rather depressed lately due to my weight gain which i will save it for another blogpost instead of this. Go ahead judge me lol then again most of the time i am too lazy to edit my pictures, all i had to do in find the right angles :-P Currently my chubby face makes it difficult for me to look sultry compared when i had my boney angular jawline and cheekbones. Miss the so so much..sigh..
Well to make things look on the bight side at least i look younger(?) according to people and more cuter/moe (lol wtf). I have long passed the jail-bait age, so no point looking cute liao lolol. I applied Subra on the outer corners of my eyelids working my way in by gently blending it and working my way to the middle of my lids. Make sure to start with abit of eyeshadow if you are not so confident, and slowly build the colour with 2-3 applications because this one is super duper pigmented, actually 1-2 times is enough in. Create a Dark to Light effect from the corner of your lids to the middle so it doesn't look to dark, like a panda (seriously) lol because i've tried it myself while experimenting. Then using Europa continuing from the middle and work your way towards your tearduct, i might add this look goes very well with a strong coloured matte lipstick. Was actually trying out my new lipstick haul from covo, 1 Utama concourse as they are currently having this promotional price of RM15 for the first 50 customers daily. Nah~ Just kidding, having my 'syiok sendiri' moments while i blog. If they had these in Queen Elsa's eyeshadow shades, i would buy them without thinking twice because the eye shadow texture is so lovely! Not the usual powdery where they often drop to the bottom of my lids during application and not too creamy too, it's like a perfect combo (match made in heaven).